From there, you will have a view across hundreds of kilometers of ice, the famous Ross Ice Shelf. 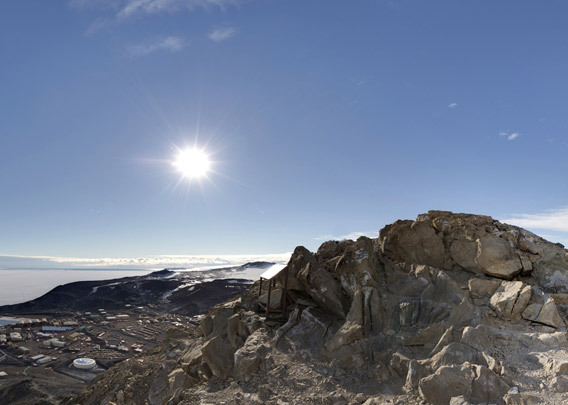 It gives you a good idea of infinity, which is one of Antarctica’s main features. 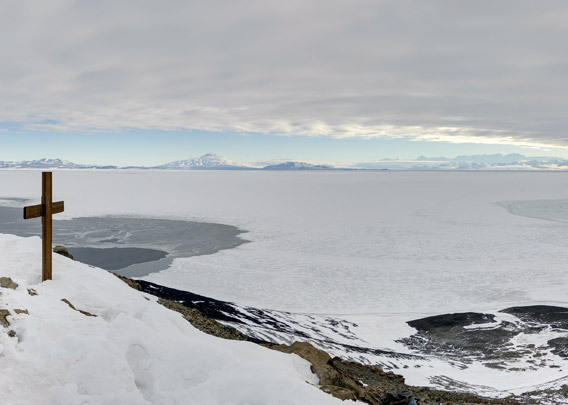 You can almost see the South Pole – well, almost … but the view is just grand. 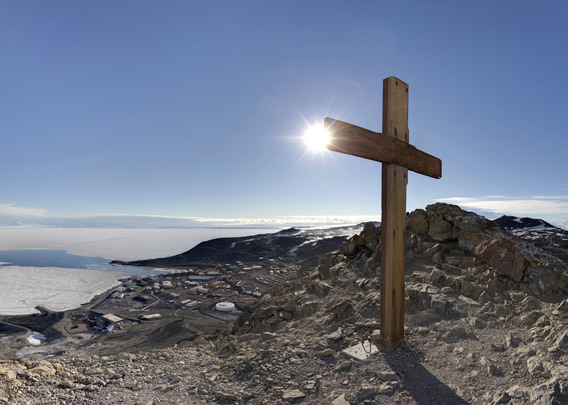 The Transantarctic Mountains are stretching along the horizon, and you can see the area where Scott and his remaining comrades Bowers and Wilson died on 29th March, 1912, only 18 kilometers from the next depot. A raging snow storm kept them from reaching the depot – well, you know the story. 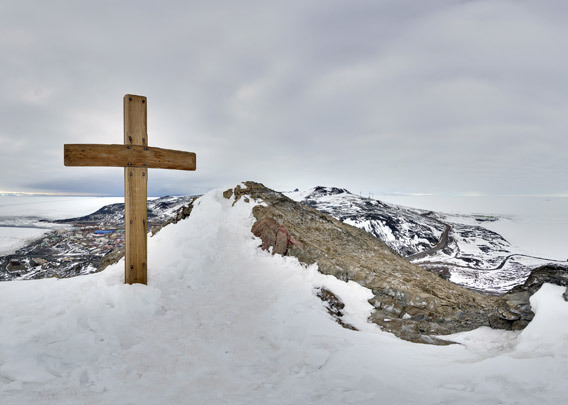 A wooden cross in Observation Hill was erected as a memory to Scott and his men.